With uprights packed by air bubble film, others packed in carton . This rack is connected with the plates and angle steel through the pins and special screws. Shelves of the rack can be adjustable freely. Layer board is iron sheet. Different colors, sizes, layers, and thickness of material are available. Pillar structure: cross arm, inclind strut consisting of a triangular structure is more stable. 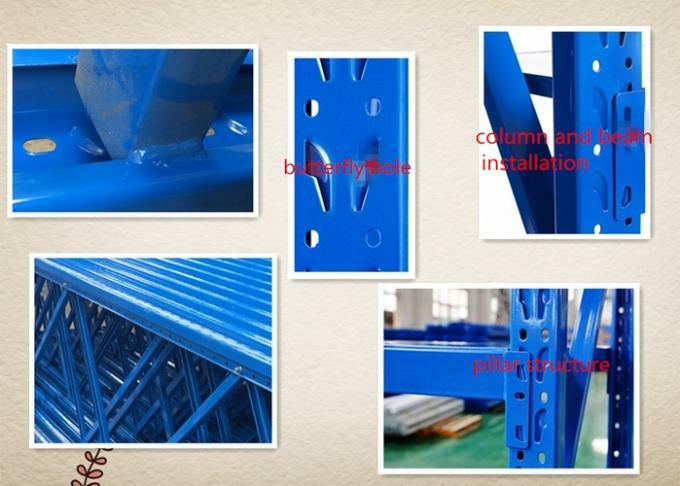 Post the butterfly hole: according to the requirements of the height adjust at will. Butterfly column: adjustable height between each two shelves. Colum and beam installation: more convenient. 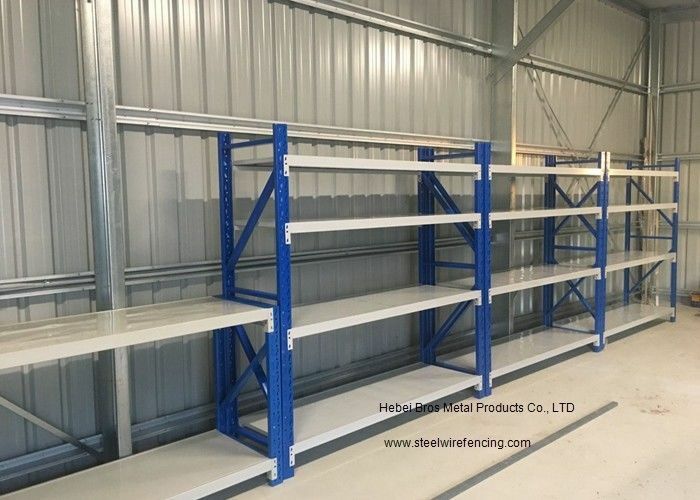 P type steel beam structure : No welding and screws , adjust the height, beween distance of shelves freely. Product thickness is actual thickness, full welding, same height between stiffeners and steel plate. 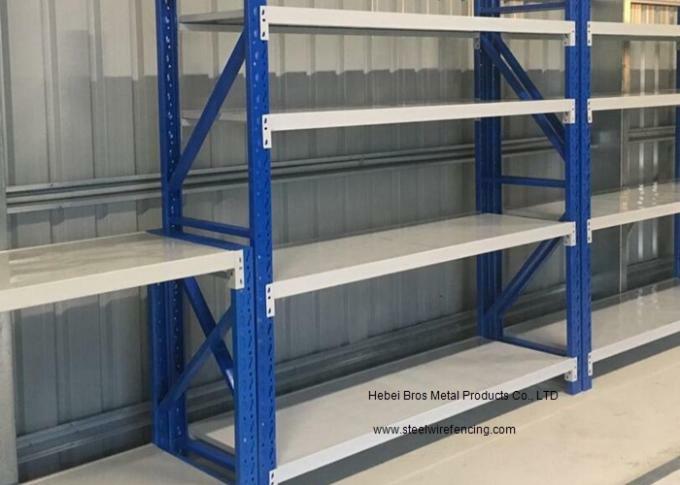 The most commonly used of all storage systems for palletised goods. low capital cost. easy installation and simple to adjust. such as household, warehouse,storerooms, Industrial, bulk warehouse storage system .